Handmade illustration for Les editions penibles. 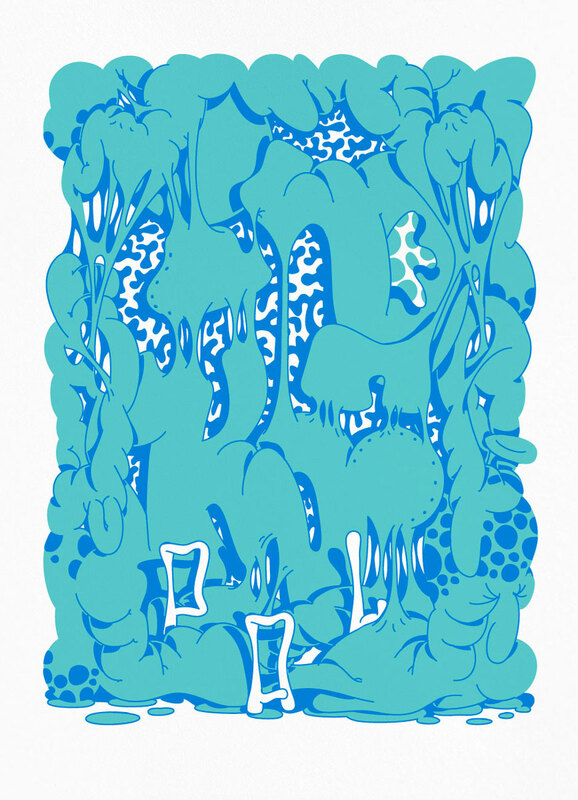 Two colors screenprinted poster on mint green and blue on Ivory white Rivoli paper 240g. 32cm x 44 cm, signed and numbered on the front, stamped “les editions penibles ” on the back. Limited edition of 32. Available on Les editions penibles website.